Who says TV is dead? 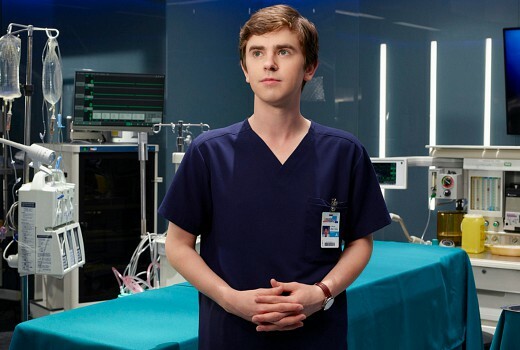 The Good Doctor has broken records as the top Timeshifted show since OzTAM began recording data in 2009. It outranks Revenge, INXS: Never Tear Us Apart, Homeland, Downton Abbey, Utopia & Molly. Here is the Top 20 as at 5th December 2017.
they said the good doctor will be returning on jan 29. I guess after the tennis. ha ha, this is my favourite line from channel 7…”After the tennis” which can mean September next year. In our house, whenever anything on television is delayed for any reason we just call it ..”After the tennis”. This is hardly an accolade. The Good Doctor is the number one recorded program which viewers fast-forward through the horrendously long ad breaks and enjoy without interruption. If I was an advertiser, I would be subtracting these figures from my TARPS, not adding to them. The Networks are trying hard to avoid this scenario by using TBA’s in the EPG, starting late, over-running and offering their own timeshifting service that doesn’t allow ad-skipping. The Good Doctor took everyone by surprise….I suspect even Seven…. Forgot how well Revenge did in consolidated, well done Good Doctor! Huge success across all metrics. Who says TV (presumably this is broadcast related TV) is dead? Their own statistics appear to indicate that, if not actually dead, TV is certainly in the ICU and the doctor is casting an eye over the chart wondering if there is really any point in keeping the machine that goes ‘ping’ turned on any more.